Has anyone even heard a crazy awesome statistic like this??? THREE JSC members doing their 1000th jump on the exact same load… We certainly haven’t! 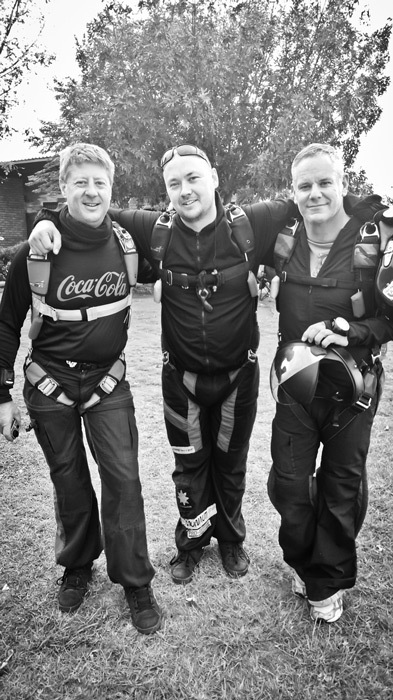 Bruce Tait, Peter Hansen and Ryan Weeks completed their 1000th jump on the 17th January 2016, on the same load, at Johannesburg Skydiving Club. We are blessed to have them and we’re tremendously proud.